The team also evaluated laboratory findings, treatments, and outcomes from 52 elapid snake envenomation cases from several universities and private veterinary practices from 2006 to 2016. The findings showed that snakebite wounds aren’t always apparent, but affected horses often exhibit clinical signs of envenomation. When vets can make a diagnosis based on these clinical signs, this can aid fast treatment and better outcomes. Fifty per cent of horses in the study also developed rhabdomyolysis (muscle damage) and 19 per cent developed hemolysis (red blood cell damage). Observing clinical symptoms was more effective than urinary analysis in predicting snakebite. Out of the 18 urine samples they evaluated, only seventeen percent were positive for snake venom. As such, it is recommended that veterinarians consider elapid snake envenomation as a differential diagnosis for any horse exhibiting the aforementioned clinical signs, especially in areas where these snakes are most common (the tropics and subtropics in Asia, Australia, Africa, North America, and South America). 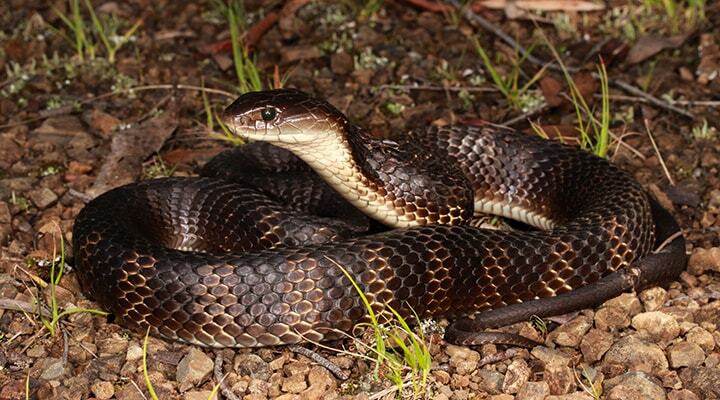 If a veterinarian makes the right diagnosis based on clinical signs and administers antivenom promptly, survival rates can be quite high for equine snakebite patients - 86 per cent of the 49 horses studied survived. The study, "Elapid snake envenomation in horses: 52 cases (2006-2016)," was published in the Equine Veterinary Journal. Read the full article featured in The Horse. For emergencies and to make an appointment, contact us.